SK Hynix is going to mass-produce non-memory semiconductors for the first time from 300mm wafer factories. Until now, it had been producing memories such as D-RAM and NAND-Flash from 300mm factories while producing non-memory semiconductors from 200mm factory. Output of chips per wafer increases by 50% if non-memory semiconductors are produced from 300mm factories instead of 200mm factories. It seems that there will be changes in dynamics of markets as SK Hynix is actively working on enforcing its non-memory business. According to an industry on the 8th, SK Hynix made a plan to mass-produce 13 million-pixel CMOS Image Censor (CIS) from 300 wafer factory called M10, which is located in Icheon, in 2017. Based on major personnel, it is currently making preparations such as installation of equipment and others. 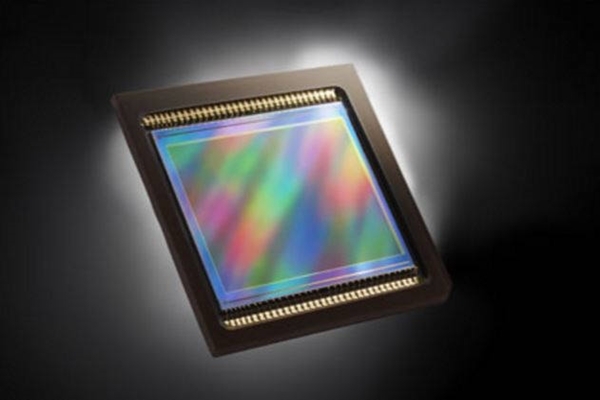 First non-memory semiconductor that will be mass-produced from M10 will be 13 million-pixel CIS. It can be seen that a reason why SK Hynix is planning to produce non-memories, which had been mass-produced from M8 that is a 200mm wafer factory, from 300mm factory is because SK Hynix is also considering problems regarding profitability. Because area of die of 13 million-pixel CIS is big, industries believe that SK Hynix would not be able to make ends meet if it is produced from 200mm wafer factory. Although SK Hynix’s goal is to start mass-producing 13 million-pixel CIS in 2017, timing can be adjusted depending on development and business activities. It is heard that SK Hynix will decide on early output that will not put too much burden on itself. A marketing research company called TSR (Techno Systems Research) that specializes in CIS is estimating that SK Hynix will produce about 4,000 non-memory semiconductors per month based on introduction of wafers. Looking at M10 based on D-RAM, about 140,000 wafers are introduced per month and this is not even 3% of overall output. Semiconductor industries are putting a lot of meanings on a fact that SK Hynix is producing non-memory products from a 300mm factory. SK Hynix separated its system semiconductor business department as MagnaChip Semiconductor in 2004 and signed off on a contract. In October of 2007 when this contract ended, it re-entered non-memory semiconductor business with CIS. In following year, SK Hynix acquired Siliconfile, which is a CIS fabless manufacturing company, and regularized CIS business. Siliconfile has become a 100% subsidiary of SK Hynix after SK Hynix acquired it. Until now, SK Hynix had been supplying CIS with lower than 5million pixels to PC manufacturers and Smartphone manufacturers. To increase profitability, it has been reducing percentage of shipment of low-priced products and increasing percentage of 8 million-pixel products since second half of last year. Samsung Electronics’ Wireless Business Department, Huawei, LG Electronics, and other Smartphone manufacturers are purchasing SK Hynix’s 8 million-pixel CIS for their low and medium-priced Smartphones. SK Hynix is also increasing number of employees that have related experiences recently. ‘Master’ personnel, who had been recognized as the best technical specialist in CIS field within Samsung Electronics, has recently started working for SK Hynix. When SK Hynix regularizes usage of its 300mm factory, it is predicted that SK Hynix’s business will expand towards surveillance cameras and vehicles from PCs and Smarthpones. According to TSR, total sales from global CIS markets in 2015 were about $9.162 billion. SONY (44.8%) is the top business in this market followed by Samsung Electronics (16.5%) and OmniVision (13.2%). SK Hynix (3.7%) stands at a 6th place behind of ON Semiconductor (acquired Aptina Imaging, 6.1%) and Canon (5.3%).